AFR's 245cc "Competition" heads feature 100% CNC ported intake, exhaust & chambers. 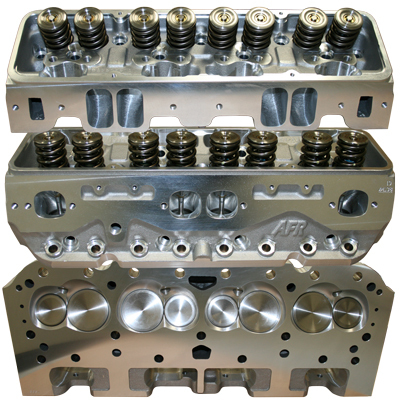 NPP stands for "no pushrod pinch", and this is AFR's largest 60/40 valve spacing head. These heads require shaft mount rocker arms for all applications and have extra machining for 3/8" pushrod clearance.